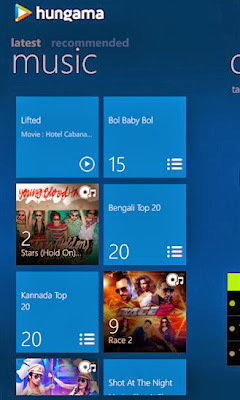 Hungama music streaming app and blinkbox movie streaming app launches on Windows Phone and Windows 8.1 devices. 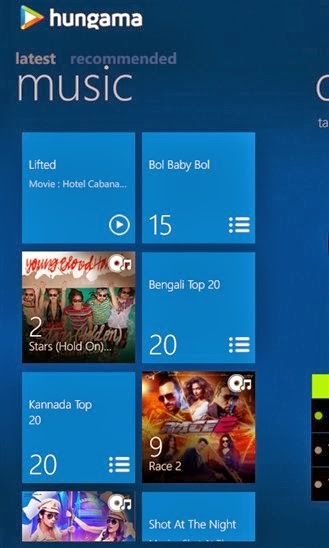 Both are free to download apps, Hungama for Windows Phone works with Windows Phone 7.5 and 8 devices while the blinkbox works with Windows 8.1 devices. Explore all of Hungama's music library of 2 million+ Songs and Music Videos spread across Bollywood, Hindi, English, Punjabi, Devotional, Regional, Bhajans, Bhojpuri, Marathi, Ghazals, Pop, Rock, Bengali, Kannada, Gujarati, Bhangra, Tamil, Telugu, Malayalam & other South Indian languages along with Popular and current International music. Also enjoy unlimited access to music from retro movies and some of the latest remixes. 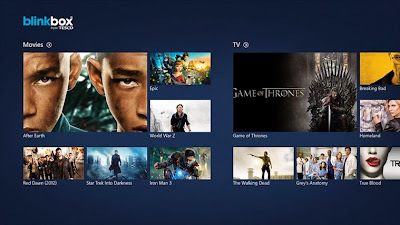 blinkbox is the movie streaming service that offers you the greatest flexibility in the way you watch the latest movies and TV shows. blinkbox offer you up to 10x more movies and TV shows than Netflix or LOVEFiLM Instant.